MK Lapid: we need to balance the use of power by Hamas leadership. An economical leverage will cause the Gazan pop. to stand up to Hamas. 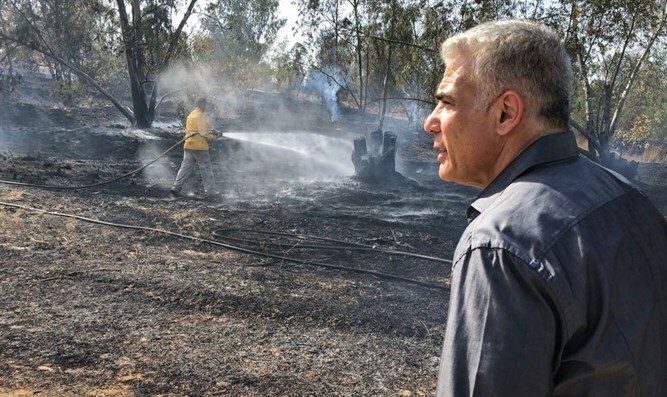 Chairman of the Yesh Atid Party MK Yair Lapid on Monday opened the party faction meeting with condolences to Lt. Col. M’s family. The officer was killed in a confrontation with Hamas terrorists on a mission in Gaza. He wished a speedy recovery to the commander injured in the same mission. A directive by the Ministry of Defense had gone out that schools the area around Gaza were to be closed, as well as the Israel Railway service. Lapid stated that the protection Resilience Centers need to be strengthened. These centers are designated throughout the southern Gaza area, where anyone can get professional treatment with anxiety after traumatic events. “On my last visit to Sderot, immediately after the barrage of Qassam rockets, a mentally injured, traumatized person approached me. He told me that he could not go to the center because he had already used up his visit quota. This is illogical. When there is such an event, like there just was, the centers need to be reinforced. Anyone who wants treatment should be treated,” he said.